one other area of potential wilderness that has not been assessed (Blue Labyrinth). 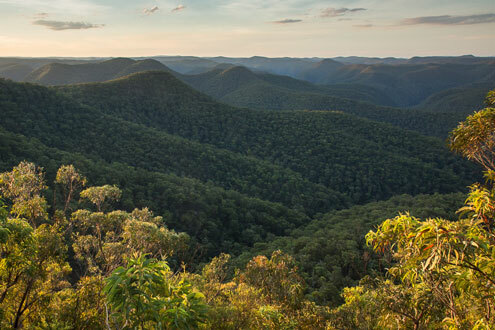 The five declared wildernesses together amount to two-thirds of the million-hectare Greater Blue Mountains WHA, a notable achievement so close to Australia’s largest city. It is also indicative of how rugged is the region’s landscape, that it has been able to survive our industrial society in a mostly natural condition. The provisions of the Wilderness Act are designed to make sure it stays that way, but the future will also depend on good management, resources and government will. 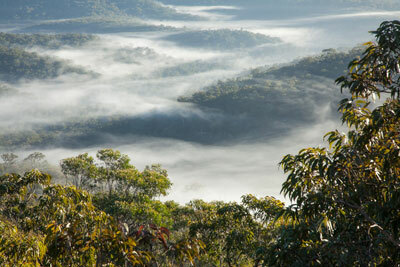 The Wollemi Wilderness is the largest legally protected wilderness on eastern Australia, possibly the whole of Australia, and Kanangra-Boyd is the second largest. They will likely retain that status because the only potential competitors are in far north Queensland and Tasmania, and both states have recently retreated from wilderness protection. The Blue Mountains wilderness areas protect not only the ecological integrity of superb landscapes, scenery, geoheritage and myriad threatened species, but also the water quality of major catchments, such as Warragamba, and vast Aboriginal heritage in its original setting, including hundreds of rock art sites. Large natural areas are essential to prevent a further cascade of extinctions in Australia and they are the most cost effective way of managing large areas (Mackey et al 1998). We wish to thank Keith Muir, Haydn Washington, Andy Macqueen and Henry Gold for their valuable contribution in preparing the GBMWHA Wilderness Area webpages.